The interim period between the completion of the manuscript for the above work and its final publication witnessed the appearance of Christopher Hill’s Milton and the English Revolution.1 Dr Hill’s book is much more than a conventional work in literary criticism or history; indeed, in its general outline, though not in its substantive content, his intellectual project appears remarkably similar to my own. I therefore feel obliged to attempt some sort of appraisal of Dr Hill’s book. 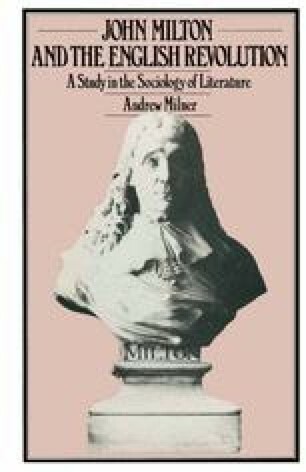 I had considered the possibility of integrating a critical assessment of Hill’s Milton into the main body of my own book. But, on consideration, it seemed to me that Dr Hill’s approach is deserving of a more detailed treatment than could possibly be carried through in that fashion. I therefore offer the following account of the main differences which exist between Dr Hill and myself, and of the main ways in which, in my opinion, my own approach is theoretically the superior of the two. I make no claim to a familiarity with the empirical details of seventeenth-century English history which could possibly equal, let alone surpass, that of Dr Hill. He brings to his work an immense erudition, acquired in the course of a lifetime’s commitment to the study of the English Revolution, which I could not conceivably hope to match. However, I would maintain that the theoretical apparatus which I have made use of in my work is clearly superior to that deployed by Dr Hill and that this superiority gives to my work an analytical cutting edge which is lacking in Hill’s. I leave it to the reader to pass final judgement.